By donating food or goods to our programs, you will fill an immediate need for refugees and people seeking asylum. You will also be giving them a hand up on the pathway to food security and independence, where they have the ingredients and knowledge to make the best choices for their nutritional, social and emotional wellbeing. 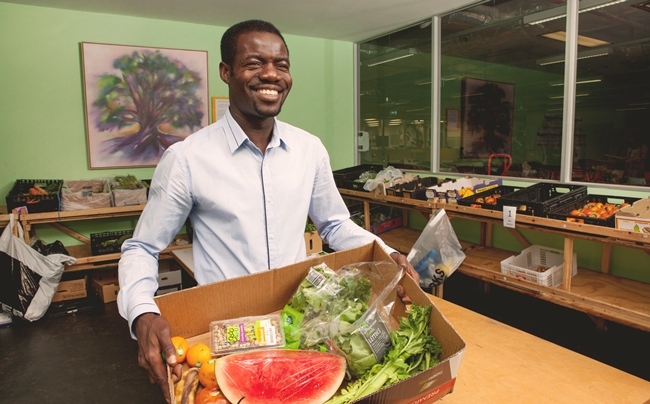 Our Foodbank grocery store in Footscray provides food and essentials to more than 620 refugees and people seeking asylum each week. We rely on community donations to stock it – almost 90% of our food and essentials is from people like you. Due to limited storage and distribution resources we are unable to accept household items, kitchenware, furniture, bedding, second hand clothing, books and electrical items. Start shopping and complete your order – Coles will deliver your donation free of charge to our ASRC Foodbank, you do not need to collect the order! Make a donation today. Your generous gift relieves hunger, provides safe housing and medical care for families and children in need. Contact our team at foodandgoods@asrc.org.au or call (03) 9326 6066. Want to donate something else?